This succulent really is the plant that keeps on giving. 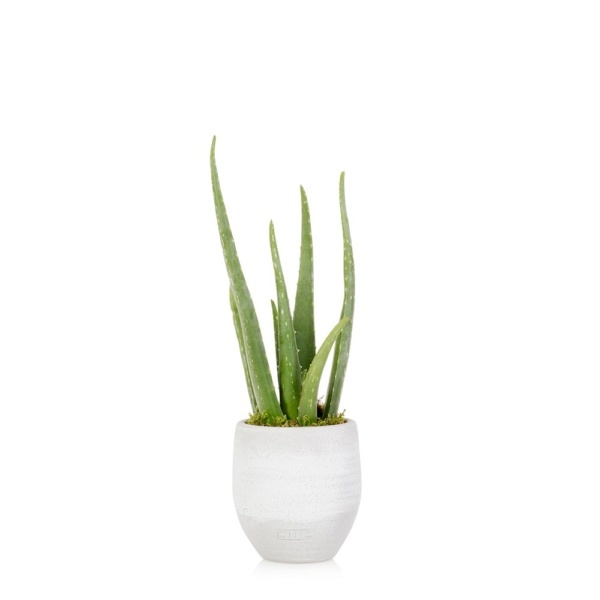 The Aloe Vera is a plant that originates from Africa, with its long, luscious leaves. Spongy to the touch, each leaf is full of aloe gel. This soothing gel has many benefits that have been used for medical conditions for thousands of years. Today Aloe is used for many skin conditions with fantastic results! For a houseplant, these Aloes really offer an easy to care for green plant. 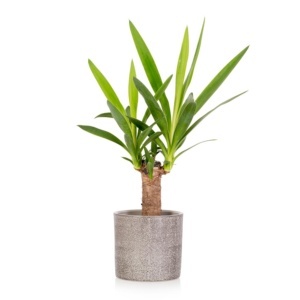 Planted in our super stylish grey pot with a varnished base, this offers a modern yet timeless plant. 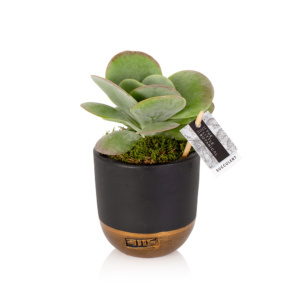 Aloe loves the sunshine, so don’t be afraid to place your plant in some sunlight. Allow your Aloe to dry out before watering, if you squeeze the leaves this will also help you know if it is thirsty, the leaves should be full of gel and nice and firm. 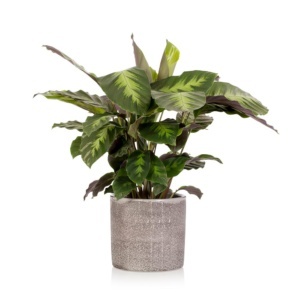 Such a lovely plant, just to look at it makes me calm! The plant arrived beautifully packaged and I can see why as you wouldn’t want this delight damaged. 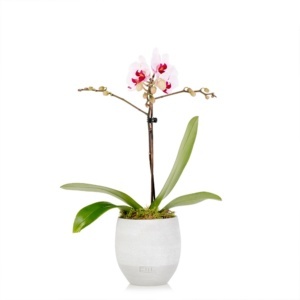 The plant has been well cared for prior to arrival and the pot is so on trend at the moment. I love it, looking forward to seeing lots of little shoots popping up. Apart from the fact I am a good looking plant, I can also help if you burn yourself too!